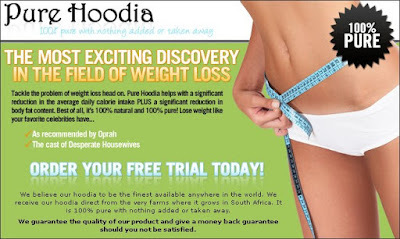 Hoodia, a cactus that grows in the Kalahari desert that was catapulted to fame by 60 minutes in 2004 as a potential weight loss aid and now a fixture on health food and pharmacy store shelves, was dropped yesterday by Unilever. leading me to firstly marvel that Unilever has safety and efficacy standards for supplements and secondly to wonder whether or not this will have any impact at all on sales of hoodia in health food stores. This report also proves something very important - the pharmaceutical and manufacturing industries spend a tremendous amount of money researching any potential weight loss supplement leads and were they able to prove that a product were safe and effective, it'd land up in prescription form and they'd literally beat down the doors of doctors' offices to try to convince docs to prescribe it. Simple statement here - if you're considering a "natural" weight loss supplement, if your doctor doesn't prescribe it to you then it's safe to say it hasn't yet been proven to be both safe and effective. Translation - if there really were magic, I'd prescribe it. Oh, and Unilever didn't disclose the data that led it to abandon its $40 million investment but I think it's a good bet to suggest that if you are taking Hoodia, it's probably in your best interest to stop. Intimidate your Abdomen! Devastate your Thighs! What do Danish Girl Guides Sell? Vote for Canada's Best Health Blog! Eating Pizza, Coke and M&Ms Cures Breast Cancer!